Can't find the "resize" button in Lightroom? It's not you--there isn't one. Here's how to do it. Having trouble finding the "resize" button in Lightroom? It's not you: there isn't one. This isn't some kind of facepalm oversight on the part of Lightroom's developers--far from it. Instead, Lightroom has more powerful, flexible, and safer way of dealing with image resizing. But it means a different way of thinking about the whole process. Instead of resizing the original image, you create a new copy with a combination of cropping and exporting that ends up at the size you want. The key is understanding the idea of non-destructive editing. Like other leading image management systems like Aperture, Capture One, PhotoMechanic, or Corel Aftershot Pro--or pretty much any photo software that knows what it's doing--the idea is that the original image data itself is never edited or altered.1 That eliminates the risk of corrupting or degrading the original file. If you ever need to get back to the digital equivalent of a film negative, you can. Think of it like this: if you were using slide film and you wanted a small image, you wouldn't go and attack your slide with scissors. It also means that unless you try quite hard you shouldn't be able to accidentally overwrite your original image with a lower resolution or somehow degraded version--your master version should always be preserved. You don't want to accidentally replace with your original image with a resized thumbnail, for instance. Of course, there are other ways you can accidentally delete files, so always, always be sure to have a robust, redundant backup system humming away, a topic I'll be dealing with here sometime soon. So if you can't actually resize in Lightroom, how do you get an image at the size you want it? This is where Lightroom's powerful export functionality comes into play. But first, you have to know the difference between cropping and resizing. They're not the same thing, and you can do both to an image. Cropping is choosing which parts of an image you want in the finished image. It's one of the tools in Lightroom's Develop module. You might zoom in to the center and eliminate some from all the sides, cut off just one side, create a square image, or create a long, thing panorama. What you're doing with the crop tool is telling Lightroom that that's the part of the image you want to work with. I have a post specifically on the topics of cropping and straightening photos in Lightroom as well as rotating images. And if you're looking for more control over your cropping, Lightroom includes a number of very useful crop tool overlays to help as guides. To get an image of a particular size, whether it's a certain number of pixels wide or a particular number of inches tall, you approach things a bit differently. Rather than trying to resize the original image, a much better and safer practice is to export a new version of the file that has the dimensions you want. Once you have that resized copy, you can do what you want with the copy without any risk to your original master image. You can even reimport it back into Lightroom and stack it with the original image if you like, or you can create a special folder or category that holds just your resized images (one for thumbnail sizes, another for email sizes, etc). Below are practical examples of the Image Sizing options in Lightroom's export feature (select image/s in Library Module » File » Export » Image Sizing). The screenshot shows the setting that were used, and each image's caption details the dimensions of the end result. The examples below all use pixels as the measuring system, in which case the Resolution setting (sometimes known as pixel density) doesn't really matter. 2400 x 3000 pixels with a Resolution setting of 72 ppi will result in functionally the same image as 2400 x 3000 pixels with a Resolution setting of 600 ppi. 72 ppi has long been the default standard pixel density for screen display; anything from 240 ppi through 600 ppi or higher us standard for printing. Apple's Retina displays use a higher pixel density--ranging from 220 to 326, depending on the device. But for digital display on a screen, the pixel density really isn't relevant--you should only worry about the number of pixels wide and the number of pixels high. If you get a request from a graphic designer to deliver files that is something like 3000 pixels by 2400 pixels at 300 dpi, the "300 dpi" part is redundant. The same is not true if you use a physical measure like centimeters or inches. In that case, the Resolution setting matters. 8 x 10 inches at a resolution of 72 ppi isn't the same thing as 8 x 10 inches at 300 ppi. Physical measures are mostly used when you're trying to create prints. The pixel densities used for print are traditionally 240 to 300 ppi (although some printers use higher measurements). If I'm resizing for making prints, I generally find Lightroom's built-in Print module a better option than using Lightroom's export function. 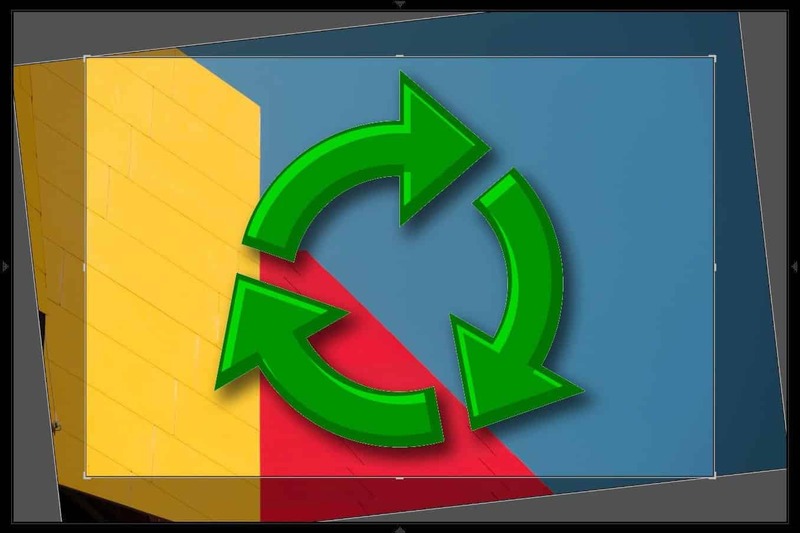 If you need even more flexibility for print resizing, third party software like Qimage, PhotoZoom, or Genuine Fractals might be what you need. The key difference between using Width & Height as opposed to Dimensions is that orientation comes into play. Using this setting, regardless of the image orientation, the image will not be wider than the width setting you specify and not higher than the height setting you specify. Another way of putting it is that you're specifying the horizontal measurement (width, across) and the vertical (height, up) measurements. The Dimensions setting is similar to Width & Height but is agnostic of the image orientation. Rather than specifying horizontal and vertical measurements, you're specifying both the long and short edges. Input the maximum image dimensions you'd like to fit within and it will automatically scale, ignoring whether it's actually the horizontal or vertical sides. If you want both portrait and landscape oriented images to all come out the same size, this is the most useful setting to use. Also see below, Dimensions: Square. Use this setting if you're only concerned about the longest side, ignoring whether it's the horizontal or vertical measurement. The shortest side will not be restricted. 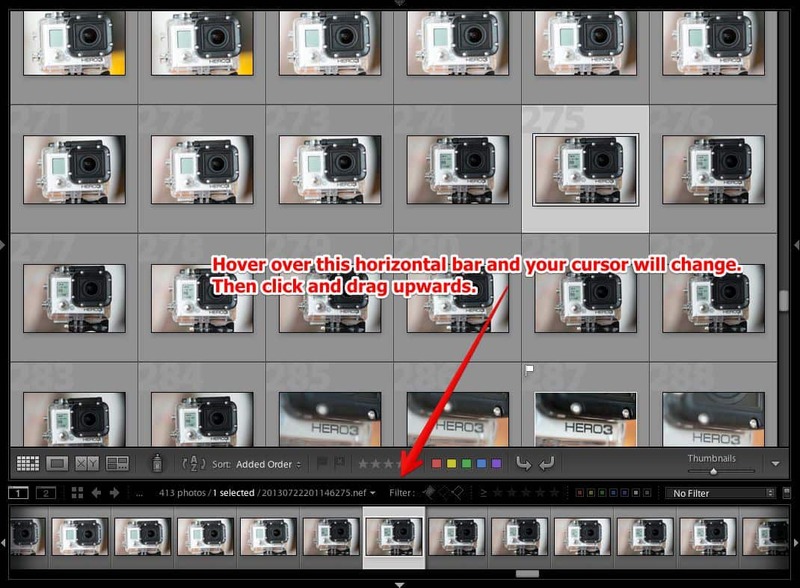 This setting can be very useful for resizing panoramas. Use this setting if you're only concerned about the shortest side, ignoring whether it's the horizontal or vertical measurement. The longest side will not be restricted. A newish addition to Lightroom's export sizing options, the output to Megapixels has relatively specialized applications, including submitting to some stock agencies that set their royalty free prices by megapixel image size. This isn't actually a separate Lightroom setting but rather a simple way of using the Dimensions option and specifying identical measurements for the long and short edges. This can be especially useful when creating thumbnails or resizing images for display for an onscreen slideshow or image gallery where the window for the actual image display is square. There's obviously nearly an infinite number of image size settings that are possible that you can customize according to your own needs and preferences. But here are suggestions for places to start for common scenarios. All are again measured in pixels because I find that it's generally a safer and more flexible way of doing it than constantly cross-calculating Resolution if using physical measures like inches and centimeters. This is a good compromise between having a large enough image to appreciate the details, will keep the filesize manageable for email even with several attachments, and will display the full image on most modern monitors. The reason I use the Width & Height rather than Dimensions is that monitors aren't square and I know that I have more room to play with horizontally than vertically. If you want more specific information on image and graphics dimensions for Facebook, check out this post. Using the Dimensions setting and specifying identical dimensions works well for thumbnail grids. Note that this doesn't create square thumbnails (unless your original images are square, of course) because it's set to fit the entire image without cropping inside the measurements you've specified. Creating square thumbnails isn't possible with the standard Lightroom Export module--you have to use something else like the Print module, the Web module, or an external editor. I generally prefer to use the more powerful Print module or external options for resizing for print because you have a lot more control over the output. But if I need to use the Export feature, these are the settings I'd start with. Some printers work best at a much higher print resolution of 600 ppi, 1200 ppi, or even higher, in which case you're probably better off setting the Resolution at the desired output and using inches or centimeters as your measure rather than pixels. If you use the Print module, that's all taken care of in a better way. 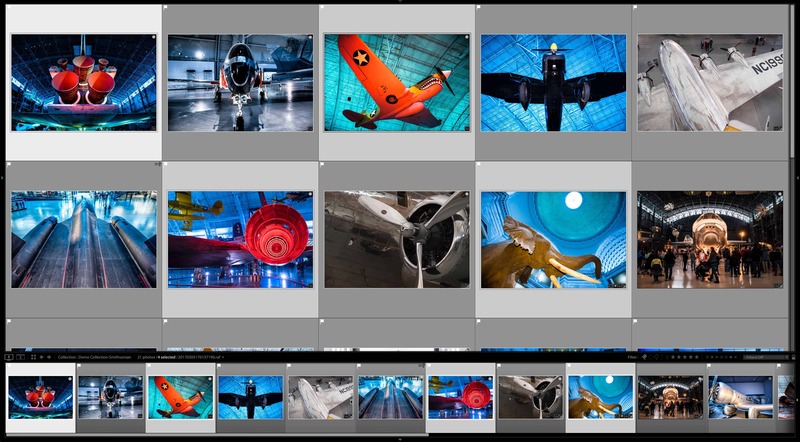 LR/Mogrify 2: If you're looking for more advanced controls to add to the Lightroom Export module, take a look at the excellent collection of tools offered in the LR/Mogrify 2 plugin by Timothy Armes. It allows much more control over your output, including a wide choice of resizing algorithms, and it can be used in combination with the plugin's other powerful features like fine-grained watermarking control, adding text overlays, and adding borders and keylines. Lightroom's Print Module: Don't be put off by the name--Lightroom's Print Module can also be used to create jpegs and allows a lot of control over resizing options. Qimage: (Windows only) This does a lot more than image resizing. Qimage has long been leading the field on Windows systems in preparing images for print, whether you use your own printer or send to a photo lab. It also provides fine-grained control over all aspects of preparing images for print. Image upsizing / uprezzing is one of the many endlessly debated topics in digital imaging, and there are many "right" answers because so much of it comes down to the look you're going for or how much detail you'll be able to see in the end product. If you're intending to frame a photo for the wall, for instance, will the viewer standing 6 feet away from it really be able to tell the difference between an image upsized with expensive extra software and an image upsized with standard Lightroom functions? Only you can decide what the "right" answer is. After all, it's your work on display. If you decide that you want more control than Lightroom's built-in functionality offers, then there are many alternatives. Photoshop offers a range of resizing options, and you can also build a Photoshop action to do step resizing which involves incremental stages of only 10 percent for each increment. If you plan on making very large prints on a regular basis, there are external editors that provide specialized functionality that might be worth investigating. You can use the "external editor" functionality to add a shortcut in Lightroom to these, but they don't technically integrate directly into Lightroom and each involves first creating a TIF version and working on that. Perfect Resize: (it used to be known as GenuineFractals) (Windows & Mac) By OnOne Software, Genuine Fractals specializes in image upsizing and enlargement. PhotoZoom: (Windows & Mac) By BenVista Software, PhotoZoom specializes in image upsizing and enlargement. Neither of these is inexpensive, so they might be overkill for occasional use. Both of these accomplish much the same thing but use different algorithms to get there. The results from both are excellent, but they do end up with a slightly different look if you look very closely. Before buying either of them, I'd recommend downloading the trial versions and seeing which you prefer. This isn't something that can be done in Lightroom's standard Export module, but I've created a detailed guide on how it can be done on Mac systems here using Automator and Ben Long's excellent Photoshop Actions. If you need even more control over your export sizing than the baked in options offer, check out Rob Cole's Exportant Lightroom Plugin that allows all sorts of other options like exporting to megapixels smaller than Lightroom's 1.0 megapixel limit, exporting to PNG format, or resizing by percentage. It also does a lot more than just resizing. UDPATE: This plugin is not currently available from the developer. If all you want is just to add empty space to the sides of the photo (or the top & bottom), you can simply use "transform" and "scale". After you scale down, the image will keep the same size canvas size but the image size gets smaller. Technically, doing this does not really add space to the canvas but make image smaller in the same canvas. It is an easy way to modify the photo to the correct aspect ratio, if at the end you want to scale it down when exporting anyhow. Thank you for the excellent advise on resizing. Especially by pointing to the issue that cropping is just cropping and not resizing. I wonder if I crop to, let's say, 10% of my Nikon NEF photo followed by exporting to A4, would that still deliver acceptable results? Or should I then follow the route of third party resizing? There's no harm in trying it to see what you think of the results, but that's a pretty drastic crop and enlargement, so you'll need to be realistic about the quality you expect regardless of which upsizing method you use. If the Lightroom upsizing doesn't work well for you, there's a new free web service Let's Enhance that might give better results. Is there a way to reupload exported LR images that were 72dpi, and I wanted them to be 300dpi? I have the originals and the edits on my external hard drive, just hoping to avoid re-edit of the originals. In most uses you probably don't need to. With digital versions of the images, only the length and width pixel dimensions matter and the density (PPI or DPI) is just a tag in the metadata and doesn't actually change anything about the quality or size of the image. Another way of say that is that an image that is 2000 x 3000 pixels at 72ppi is exactly the same size as one that's 2000 x 3000 pixels at 300ppi and will be treated the same in software and if you're sending it to a printer or lab or sharing online, etc. The density only becomes an issue when you're translating the digital image to physical display like a print or monitor display. But if you really want to change the PPI setting in the metadata there are a few options. None of them are ideal because it's creating unnecessary duplicates and, if you're using a lossy format like JPG, adding another generation that can reduce image quality. You can reimport the exported images into Lightroom and then re-export them. You can open them in Photoshop and then go to Image Size, change the PPI setting (Photoshop unhelpfully calls it Resolution) with the resample option disabled and then resave the image. If you don't have Photoshop, you can do the same thing in free image editing apps like IrfanView or Gimp. Or you can use a converter web app like this one. But in all those cases where you're re-saving the image you'll be adding another generation if you're using a lossy format like JPG. I am working on a photo project for post cards. I'm trying to get all of my images resized to 4 x 6in, and edit them in that size. I follow your instructions, and even the persons comment that was going for the same size as me in pixels. BUT, I go to open the image after its exported and it shows up the same size as in Light room. Basically, i just want to edit my images at 4x6 so I can see exactly how they will look with font on them for postcard prints. Hallllp, I feel like a newbie here. You will likely find it easier to do that using the Print module and choosing a 4x6 template. That will show exactly how it will print, with the same aspect ratio, same borders, etc. Yikes!I cropped 2 beautiful photos (raw) in LR, made adjustments, exported as jpg 300 ppi and i keep getting low res when i try to print at Costco, a prof lab and snapfish. The prof lab said when you crop in LR I that reduced the pixels. I should have resized in photoshop. My pixels are way low. Regardless of what software you use, cropping reduces the pixels. That's what cropping does, by definition. So you're working with less of the original image. If you crop too aggressively, you might end up with too few pixels to get a sharp enlargement, but it depends on how many you start with and what size print you're trying to make. You can increase the pixel dimensions on export from Lightroom (fundamentally the same as image resize in Photoshop), but that's not magically recovering detail that isn't there. There are apps like ON1 Resize that use fancy algorithms to try to fill in the gaps with better guesses, but they still have their limits. Hello there! thank u for providing the dimensions for an 8x10 print. What would be the dimensions I need for a 4x6 print? any help that u could provide would appreciated. A good target is 1200x1800px. That will give 300dpi. You can also get away with less--say, 960x1440px, which is 240dpi--that will also give excellent quality. Thanks! So all I would need to so is to go into the export settings and change it to 'Dimensions' then insert the targets u supplied? My question is when I export a photo (WxH) 8x10 out of Lightroom and then bring it into Photoshop my photo no longer is an 8x10 In Photoshop my image nows reads 6.82 x 14.42. What am I doing wrong. Why do the two sister programs have different image size out put. I suspect what you're seeing relates to the resolution. Photoshop and Lightroom both work natively with pixel resolutions rather than the physical measurements you're using here, and they're consistent between the programs. So if your image is 2400 by 3000 pixels in one it will be the same in the other. But when you translate those pixel dimensions to physical dimensions when you export, you also add another value: resolution. Somehow you're also getting a different aspect ratio, which suggests that when you export it out of one or the other something isn't quite right with the Image Sizing section of the export dialog. To eliminate the potential for problems with the export dialog, you can try this, which is known as round-trip editing. In Lightroom, select the image you want to work with. Right click on it and choose Edit In > Photoshop. It will then send it to Photoshop in its full, original resolution. Make the edits in Photoshop, and then Save it there (not export). It will return it to Lightroom at the same size and stack it with the original. I'm so confused! I want to export a photo that can be made into a canvas approx. 20 x 30. What should my settings be? If you want to preview the aspect ratio--ie. the shape it'll be--in the Develop panel use the crop tool and set the aspect ratio to 2:3. 1. Export it without any resizing. That is, at its original size. The printer will be able to make it the correct resolution, and it'll do a good job. 2. Use the export's size section to export at 4000 x 6000 pixels or up to 6000 x 9000 pixels. If I want to print my images in 300dpi and really good quality on a photo book, which dimensions should I use? For something like that, the safest option is to export the images at their original size--ie. without any resizing--and let the photo book software take care of it. It means uploading larger files, but it will give you the best chances of success.